When the multi-Olympian and veteran world record holder called time on his illustrious running career this month, it marked the end of glittering career for the Shaftesbury Barnet Harrier. 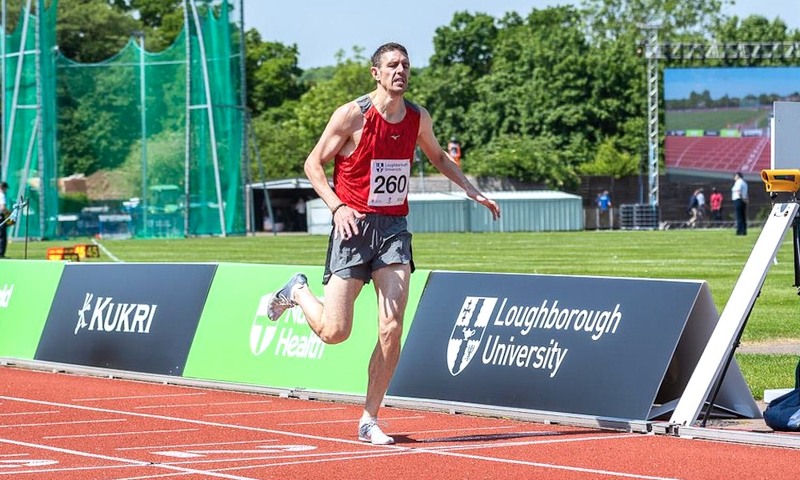 Anthony Whiteman holds the V40 and V45 800m world records and can count two Olympic Games, one senior and multiple masters World Championships as well as a European Championships and two Commonwealth Games on an athletics CV bursting with world class performances. Although the 46 year-old is still impressively competitive on the domestic track and road running scene, and dominates the global 800m masters circuit with his record-breaking results, he hung up his spikes for the last time at a British Athletics League meeting at Bedford, following his final British Championships a week earlier. The athletics stalwart released the following statement on his Facebook page last week (July 9): “That’s all she wrote! As far as competitive track racing goes it’s time to leave it alone! “The plan was really just to attempt the sub4@40 in 2012 (Ed: he is the only man to run a sub-4 minute mile as a V40, aged 40, when he ran 3:58.79 in 2012) but with that going well and finding myself still competitive at a decent level of competition it has carried on. 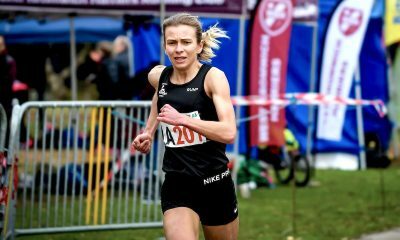 “Running in the Olympic trials finals, the British Champs finals and at the sharp end of the British middle distance scene has kept my fires burning. 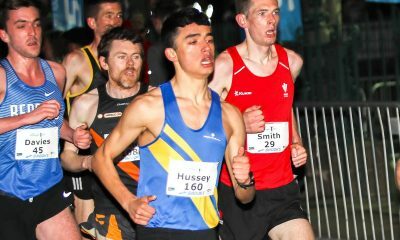 While most top level club runners would dearly love to be able to run the sorts of times Whiteman has continued to achieve well into his forties – the 46 year-old has this year run a 1:53:05 800m and a 4:31 road mile – it’s important to remember what times the Hull-based athlete was running at his peak. The two lap specialist has run 1:45.81 for 800m, 3:32.34 for 1500m, 3:51.90 for the mile and 7:43.61 for 3000m, not to mention an astonishing 14:28 5k PB, a lifetime best he achieved aged 40! Whiteman has continued to mix it with the best of the country’s athletes – many of whom are more than half his age – on the BMC circuit and the British Athletics League this year, and he is still lightyears ahead of his nearest rival in the 2018 V45 rankings with his 1:53.05 SB. In fact, that same time still ranks him ahead of every V35 and V40 in the country too! It looks likely that his V40 world record of 1:48.05 from 2015 and his world V45 best of 1:49.86 from last year will stand for some time to come, but it is the senior competition that he is most passionate about. After bowing out of his last British Championships with a 1:55.53 result to come 8th in the heats on June 30, he made that Bedford BAL the following week his final ever track competition. We talked to the immensely popular athlete about his running career, how he sustained such a high level for so long, and what’s next for the talented badminton and cricket loving father. 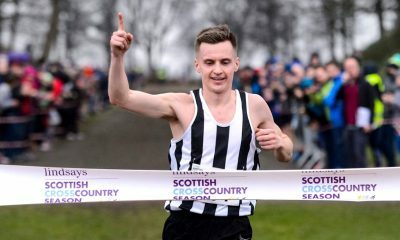 Whiteman explains when and why he decided to call it a day: “I continued to compete up to and including the British Champs because I had the qualification time (1:50.50) with my M45 world best from last year, which was under the standard, so I knew I would have two more British Champs (indoor and outdoors) at my disposal. The world class veteran added that his last ever British Champs last month was a big day in more ways than one: “I did feel quite emotional driving to the Alexander Stadium. Those championships have been the gateway to major events and the scene of personal triumphs for so many years. Whiteman was still running very competitively just last year (running times that put him 33rd and 47th for indoors and outdoors over 800m) – has he felt that he hasn’t been able to run as fast this year because of lack of motivation, age, or simply because he hasn’t been training as intensely? He explains: “It was a mixture of all three, plus pain in my hamstrings that has been niggling all year. I tore my hamstring in a Badminton league match a few months ago, and have been dealing with sciatica pain all that time. Interestingly, Whiteman ran the Westminster Mile (a road race) quicker in 2017 than the previous year (4:06 to 4:14), and, while it must be a temptation to pursue different avenues in distance and terrain, the speed merchant is clear that his body and physiology is best suited to 800m and 1500m running on the track, with anything else feeling like ‘an uphill struggle’. Returning to the former Maidstone Grammar School student’s retirement statement, it’s intriguing to find out what he means by the need to ‘find competition elsewhere’ post-athletics. It turns out the high achieving athlete has by no means finished with competitive sport! What about the impact his club, Shaftesbury Barnet, has had on his athletics career, since he joined the London-based set up back in 2000, initially to enable him to compete with a higher level club at track and road relay events? “I was very proud to be named team captain when we competed in the European Clubs Championships on two occasions and would hope that Shaftesbury benefited from my guidance,” he reflects. “I was also fortunate during my time with the club to not be making a living from athletics, (Whiteman works at the Humber Running shop in Hull) so I didn’t have to traipse around Europe competing in races I didn’t want to and sacrificing representing my club as a result. It’s clear Whiteman enjoys his independence, and, although he used to be coached by the great Alan Storey, he has overseen his own training schedules throughout his impressive masters career. He adds: “Alan has always made himself available to bounce any thoughts off, but he knows by now I have found a method that suits me. The fact that Whiteman was himself one of the best 1500m runners in the world in his heyday – running 3.32.34 in Monaco in 1997, at a time when only Seb Coe, Steve Cram and Steve Ovett had run faster, a PB that still places him 6th in the British all time rankings – lends even greater weight to his advice to other athletes considering self-coaching. 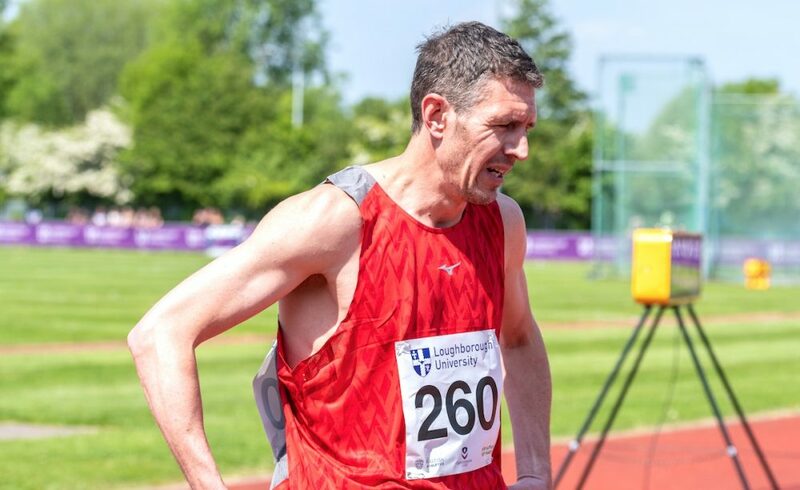 While the world’s fastest V40 and V45 800m runner may have called time on his own athletics career, he is keeping his hand in with coaching a select number of masters athletes, so we may not have seen the last of Anthony Whiteman at major championships just yet.